When the student is ready, the teacher will appear… Without fully realising I’ve been needing-looking for a creative project I’ve been feeling the lack. And, I need a creative outlet that gets me out of the kitchen, doesn’t involve flour, butter, sugar, eggs, food processor, saucepans or washing damn jars. A few years back Anne Lawson proposed The Sisterhood of the Travelling Sketchbook just as the G.O. and I were settling after relocating from city to country-coast followed by an around Australia roadtrip, and the timing didn’t feel right. Two years later, cue aha moment when I read a post by Richard Guest of the blog The Future Is Papier Mâché about the Brooklyn Art Library Sketchbook Project. Following the link Richard provided I found plenty to interest me… Brooklyn Art Library Sketchbook Project is a “crowdfunded library of artist sketchbooks that anyone can join”. You can opt for standard and digitized versions. The current 2018 sketchbook project deadlines are ORDER BY: NOV 15th, 2018 / SUBMIT BY: FEB 15th, 2019. The Brooklyn Art Library Sketchbook Project website is www.brooklynartlibrary.com. Find out more via the FAQs, and order a blank sketchbook here. I decided to sleep on it. If I could come up with a starting point and theme I’d go for it. I signed up this morning. This entry was posted in Blog and tagged creativity, inspiration, my life. Ever since I read Anne Lawson’s inaugural In My Studio post I could hardly wait to shift furniture and unpack the contents of our new-old third bedroom at Taylors Arm so I could join in, and share my embryonic dreams of creative space. The reality is it was the last room to be sorted. But in time for Anne’s January 2016 In My Studio post I can unveil… the Backroom. It’s early days yet, and other than blogging & Instagram artistic creativity remains in chrysalis stage. But for now it’s enough that I created the Backroom. For 10 years I’ve been dreaming of occupying this room that opens onto the verandah where the G.O. and I could share space on our big old table made from floorboards and fence posts topped with pots of pens, photos, notebooks and… stuff. A room that fits our books and collected knickknacks, where the old night & day sofa that reminds me of one at my grandparents’ old house sits below paintings done by my Great-Aunt Emma in 1911. Tall drawers and a repurposed drinks trolley hold other stationery and creative bibs & bobs, some untouched for more than a decade since I last did art courses, and recent gifts of sketchbooks & pencils. It’s a beginning and a space where inspired by Anne’s artistic life and Ardys’ creative life & mindfulness I can play with the seeds of possibilities and creativity that have so wonderfully come my way. New sketchbook & pencils, a first wedding anniversary gift from the G.O. This entry was posted in Blog and tagged Australia, creativity, in my studio, inspiration, my life. From time to time I dabble in short story writing. For the past few years I’ve entered Country Style Magazine’s short story competition. The theme for 2015 is ‘branching out’, and I’m stumped! Last year, inspiration came to me via a dream. 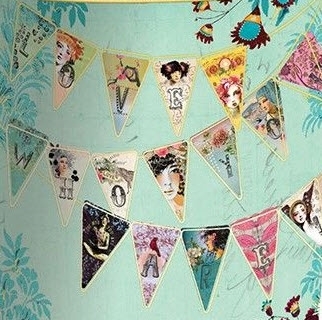 But so far this year my dreams have been the crazy fare of perimenopause… no writing material! Adjacent to our Sydney apartment balcony is a huge eucalypt. 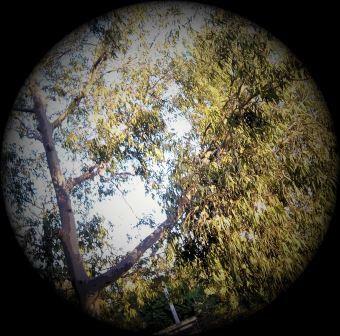 I gaze at its long pale branches in an attempt to invoke wisdom. The tree is a source of food & shelter for numerous birds and butterflies, but has yet to proffer creativity! I know the muses are hanging around, not goofing off in Ibiza: they’ve been amusing me with blog post ideas but enigmatically silent on ‘branching out’, even during 3 am wakefulness when bright writing ideas usually coalesce necessitating employment of scribble-in-the-dark-decipher-later skills. Country Style Magazine Short Story Competition. Concludes on May 29, 2015 at 23:59 (AEDT). Entries no longer than 1500 words and previously unpublished. 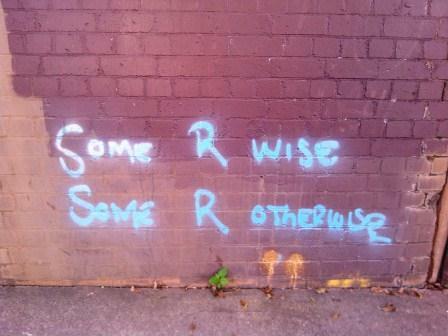 This entry was posted in Blog and tagged Australia, inspiration, my life, short story, writing. We did – it our way. The eve of our wedding day was a graced by a rainbow in the valley. One of us tried to rest. One of us baked a wedding cake: red velvet slab with white chocolate ganache. Neither pursuit was without its challenge: Soossie Cat tried to help with the nap; and the G.O.’s warning of an unsecured container meant just the edge of the [un-iced] cake hit the floor. Rainbow in the valley. One of us baked a wedding cake. One of us tried to rest. Our wedding day dawned drizzly, heavy rain escorted us from Taylors Arm to Coffs Harbour and the first glitch occurred; an amorous, distracted pigeon accidentally collided with the ute as we were driving en route. Prior to the ceremony we needed breakfast, and flowers for the wedding bouquet. We took care of both at Pansabella Providores at Coffs Central, and the second glitch; a watch chain caught on a button was kindly & quickly repaired by a conveniently located jeweller. Sheltered from the rain in a covered car park I created a wedding bouquet from a bunch of freshly delivered ranunculus and anemones. Wedding bouquet created from a bunch of ranunculus and anemones. Due to a quiet word with the Lord by the G.O. (and possibly the inadvertent sacrifice of an unfortunate pigeon) the weather over Diggers Beach cleared to sunny in the half hour before 11 am. Our rainbow coloured umbrella that clearly horrified the photographer’s assistant-wife wasn’t required. The ceremony was performed by celebrant Ken incorporating his words, our Kahlil Gibran poems and simple vows. Our chosen music melded with the sounds of the ocean in the background. Attired in favourite clothes (rather than our best) and much-loved hand-me-down jewellery, in the interests of photographic styling we adopted the suggestion we remove our glasses, making everything a blur, figuratively and literally, except each other. Afterwards we cooperated with our photographer, Stephen and his assistant-wife Lisa (aka our witnesses) for a short session recording the special event for posterity. We also took a few informal happy snaps of our own. And, when the proceedings were concluded we celebrated by walking the length of Diggers Beach. Then, with a thought to absent family we called by to place some wedding bouquet at grandparents May & Vince’s headstone, and went on to enjoy lunch in the sun, a celebratory glass of Boomerang Bay chardonnay and a XXXX beer at the Ocean View Hotel at Urunga. Before returning to Taylors Arm for our honeymoon we paused to place the remainder of the wedding bouquet at grandparents Roy & Muriel’s headstone, and visited the headstone of Ollie & Vin the original owners of our house. Our final stop was to snip wild roadside plum blossoms for wedding cake adornment. At home the cake and Soossie Cat awaited. In the last light of the day, we set the table with a pretty tablecloth & crockery, and finished with a ceremonial cutting & eating of wedding cake accompanied by well-earned cups of coffee. Pretty tablecloth, crockery, and wedding cake. 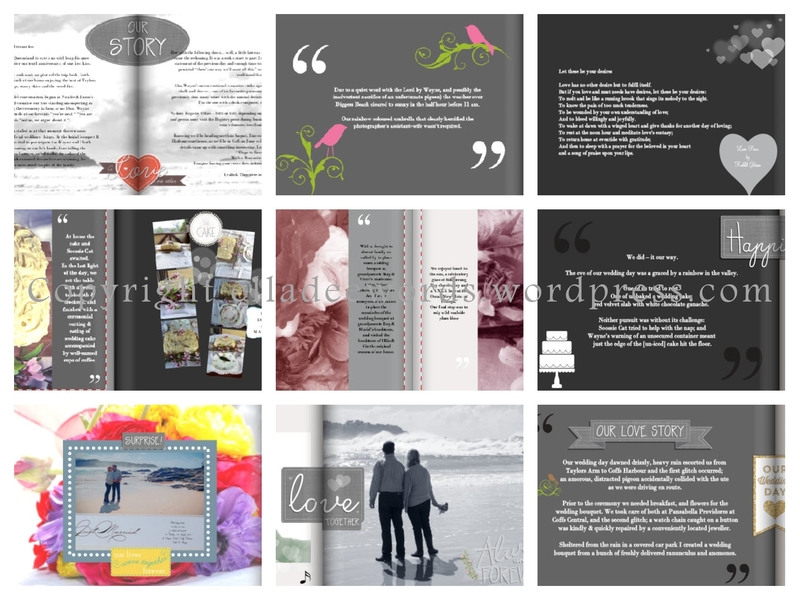 This entry was posted in Blog and tagged Australia, elopement, inspiration, marriage, my life, my stories, wedding. Once again nose to the scent of a family history trail, I was looking for names, dates and places but what I found was so much better: the opportunity to spend some time, in a fashion, with the G.O.’s Pop Mac. Apparently there’s been family history research done on the G.O.’s mother’s paternal family side but I’ve never seen the fruits of it. Possibly I haven’t asked the right questions of the right person at the right time. Regardless, I like doing my own snooping research. Curious, I Googled the G.O.’s grandfather’s name and got not what I was looking for but more than I’d bargained. The G.O. and I were pleased, and a little surprised, to come across a published version of his grandfather Roy Mackaway’s (1912-1994) work “Nulla Nulla”. The G.O. tells me he sat with his Pop for many hours as he one-finger-typed poems and stories. Roy always wanted them to be formally published. We have a copy of an early version of this work, and now a hardcopy for the G.O. and e-book for me of Jan Hawkins’ “Around the Campfire” 2013 published version. may the angels bless his soul. As well as being published, Nulla Nulla : a collection of Australian prose & poems by Cecil Roy Mackaway is held in the National Library of Australia and State Library of Queensland collection. I’ve been distracted from my intended family history research but I will get back to it. There’s a wealth of clues in the book. Often dipping into Goodreads quotes looking for tried & true words in the form of quotes to supplement my own literary efforts, I was thrilled and a little bemused to read the following of Roy’s recorded by Goodreads for posterity. but I tell you mate, she’s put on weight as her frocks ain’t nice and roomy. and I tell you mate she’ll loose the weight and once again she’ll be a corker. The G.O. 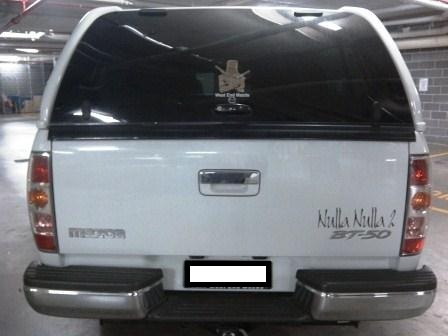 has long memorialized his Pop with the words “Nulla Nulla” signwritten on his ute. He is currently driving Nulla Nulla 2. A glimpse into the book is available via Amazon, one of the options for purchasing it. “The Author gave the copyright to this collection of prose and poems into my care some years ago, to be published in time. I found the writing so delightful and entertaining that I have published it now for the general public. I invite you to step back into colonial Australia, into a time now passed and see the world through the eyes of someone who enjoyed the adventure of life and the living of it. These works have been presented as originally written with minimal editing, preserving the vernacular and prose of the era passed where possible, which may be seen in the use of italics. The terms used in the past may not be appropriate if used in the discourse of the present day. If these terms are likely to offend please so not read this book. Neither the Author or Publisher intends to offend. tryin’ to think of a line or two, for my cobbers down on the Strand. and they forget their mates up bush, that they knew in another day. So life goes on and years pass by, where’s it getting you in the end? and tell them about the fish I caught and latest about the brand. * Dyers Crossing is correctly located in the Wallamba Valley near Nabiac on the Mid North Coast. This entry was posted in Blog and tagged Australia, book review, family history, humour, inspiration. At our previous [much-loved & still missed after 3 years] apartment we had not a lot of space but conducive enough environment at least to grow a few pots of culinary herbs, and flowers. Our current apartment features generous balcony space with sunny north-east aspect but overlooks a city train line, the ballast dust from which means nothing survives other than succulents, and hardy geraniums that have few flowers but which I maintain as it appears the leaves are a desirable food source for caterpillars… that the native Noisy Miner birds enjoy… every thing has to eat. During last month’s necessities trip to the supermarket I spotted a Jamie’s Garden Mini Green House for kids on sale for $5. The G.O. watched with amusement as I spent a fun Sunday morning hour assembling it, applying stickers and planting way too many seeds onto the coir matt. My logic was the roof of the greenhouse would keep out the nasty ballast. And sure enough, within days there were tiny sprouts of green. Of course, this success this wasn’t sufficient so running with it I purchased one, then another, big clear plastic storage tub with lid that I employed the G.O. to cut flaps in… I’m banned from very sharp implements due to my cack-handedness. I assembled odd containers and potting mix, added seeds to finally create a modest, but oh so gratifying to a frustrated gardener, productive edible space. This entry was posted in Blog and tagged Australia, balcony gardening, inspiration, my life. My email in-box is evidence of my affection for causes, populated as it is with emails from change.org, care2 petition site and GetUp requesting my virtual signature. It started at home and simply enough with the change.org petition to RailCorp NSW: Erect a noise barrier wall along the St Peters rail corridor. Initially my support was speculative, not envisaging my armchair warrior stance could accomplish much. But there have been tangible results, evidenced by the weekend track-work taking place within sight of our balcony and a resultant reduction in noise. And then today change.org and the media announced what is to me a real and groundbreaking victory both for the issue (which has been ongoing) and online petition supporters. The company has today issued an apology and committed to reviewing and removing offensive marketing from all of its campervans in the next six months. Paula Orbea, the Sydney school teacher who started the 110,000-strong change.org petition against Wicked Campers, says it’s a stunning people-power victory against sexism, with the result coming just four days after she started the petition. Roseanne is facing a lifetime in prison because of her disability. Stop the neglect. In April 2013 I became a member of Lock the Nambucca Valley, created to oppose Precious Metal Resources Pty Ltd mining exploration for gold and antimony mining in the Nambucca Valley… just up the road from our house at Taylors Arm, detailed in the post dead waters. Lock the Nambucca Valley however remain realistic and vigilant as “another company could apply for a similar exploration to plunder and pollute”. People power saved Newtown Community Markets. Helped save from destruction the oldest collection of rock art in the world on the Burrup Peninsula, WA. Brought together senators from across party lines to win a conscience vote stopping ministerial veto of the RU486 non-surgical abortion medication. … and more wins, detailed on their websites. If ya wouldn’t say it to ya Nan… don’t write it on ya van! This entry was posted in Blog and tagged Australia, causes, inspiration, my life, news, opinion, petitions. Newtown Community Market is successful enough that in 2012 it won a council-supported business achievement award. Popular enough that last year the organisers, Newtown Neighbourhood Centre, lodged a development application to expand its ongoing operation, but eliciting objection to the effect “they stole customers from bricks-and-mortar retailers” and votes from a number of Marrickville councillors to actually cease operations. The response was almost 4000 people signed a petition fighting to keep the markets open. People power won. Personally, I believe the retailers benefit from the presence the markets attract. Described as “small-but-hip” Newtown Markets are the lazy Saturday morning option for the G.O. and me. It’s a leisurely walk browsing the eclectic King Street shops en route. When we don’t need much in the way of groceries our produce necessities are simply & wonderfully catered for by Sariwa Fresh Foods. No need to fight for car parking or lug a laden granny trolley 2 kms home from Eveleigh Farmers’ Market. And, with unspent grocery money burning a hole in our pockets there are my personal favourites: second-hand books and socks… [new socks, that is; I have cat socks, dog socks, fox socks, owl socks, pink flamingo socks and more, some remaining only singly which I mix and match]; and all manner of interesting things once encountered you could hardly live without. “Newtown Market offers low-risk business opportunities for local artists and craftspeople in a high profile location to promote and sell their unique creations. The Market is organised by Newtown Neighbourhood Centre to raise funds for its community support programs. This community market has become the common ground, a place where people can interact, alive with social and economic activities. We believe our vibrant market strengthens the local identify and serves to amplify cherished aspects of Newtown’s local culture. The market is held in Newtown Square adjacent to The Hub, outside the community centre, opposite Newtown Railway Station on King Street, from 10 am to 4 pm every Saturday. 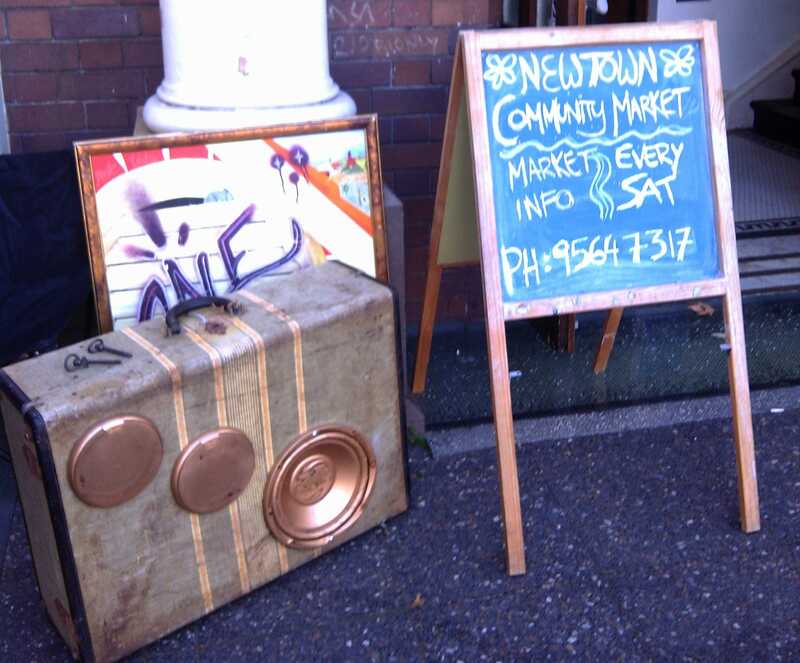 Newtown Neighbourhood Centre is also the organiser of Newtown Festival which on one Sunday each November attracts 80,000 people to Camperdown Memorial Rest Park. This entry was posted in Blog and tagged Australia, inspiration, markets, my life, Newtown Community Markets, Sydney. I, being a good missus took the G.O.’s birthday off as well to keep him company. So it came to be that we had a self-proclaimed mid-winter long weekend in Sydney. In 9 years we’ve never spent a long weekend in Sydney, and otherwise a rare sequence of days greater than 2 in our apartment only due to illness or injury. What to do? Well, nothing in a hurry – one of the benefits of having an in-house coffee machine. Eventually Saturday started out as usual with a walk through Sydney Park, on via the local Triumph motorcycle showroom as we were sort of heading in that direction to lunch at Velvet Garage then a detour to browse along King Street, stopping at a second-hand shop to pick up the kookaburras the G.O. had been thinking about, and a spur-of-the-moment frog. Sunday morning didn’t look like we were going anywhere at all, as our lunch plans had fallen through, until the G.O. remembered he wanted to go to the movies. We couldn’t rouse ourselves further than the local Dendy Newtown, but The Rover (“featuring Guy Pearce – an Australian dystopian crime drama film… a futuristic western that takes place in the Australia outback, ten years after a global economic collapse”) was on at 2 convenient times so we got a wriggle-on and aimed for the earlier. Slightly confronting, we agreed however it had merit if not enjoyable in the usual sense of the word. Monday even though it wasn’t my birthday was worth celebrating just because the alarm didn’t go off at 5 am. After the G.O.’s morning still-trying-to-give-up-cigarette (and being interrogated by the apartment building’s formidable lady-caretaker putting out the bins while he -apparently a stranger- appeared to be loitering out the front rolling it… “can I help you?”), coffee, porridge with stewed apples-pears & walnuts, gift unwrapping, and birthday phone calls, the G.O. decided to proceed with his only plan for the day, a short drive to Victory Motorcycles so he could inflict another round of exquisite should-I-shouldn’t-I torture on himself. The G.O.’s lunch suggestions were boring so we went with my brain-wave to go back in time and across the city to our old stomping ground at the West Ryde Hotel aka Mary’s. Shock horror, the same-same exterior hid a surprise; the interior had been revamped… it appeared recent but given neither of us had set foot there for quite some time it could have been done well over a decade ago. Lunch was excellent, the G.O.’s meaty as is his preference, and we dined in the less-changed grapevine covered beer garden. With time to kill we stopped in off in Balmain-Rozelle for a stroll and something sweet to take home before setting off to our post-4 pm collection point to pick up the Baron Star Bar handlebar for his motorcycle, which the G.O. used his previous birthday IOU to order from the U.S. just a week earlier. (Note to DHL couriers, not happy you couldn’t manage to press our buzzer to deliver it in person – we were at home). Neither of us felt like much dinner, so it was birthday banana bread*, very appropriate for a Coffs Harbour raised boy. * I’m not a particularly assured cook, and assumed café offerings such as madeleines, friands and banana bread weren’t the domain of ordinary cooks. I’ve now attempted all successfully, dispelling the mystique, but none more so than this simple banana bread I resorted to a couple of weeks ago because I had bananas in the freezer, and (unusually) milk in the fridge but no eggs. Combine 3 mashed bananas, 3/4 cup brown sugar, 2 tablespoons butter, 1 teaspoon vanilla essence, 2 1/2 cups self-raising flour, and 1 cup milk, bake in loaf tin in 180 C (356 F) oven for 40 minutes. This entry was posted in Blog and tagged Australia, birthdays, cooking, food, inspiration, my life.